Texas artist McKay Otto will be a guest speaker at the HRC Gala and Silent Auction on November 21 at the JW Marriott San Antonio Hill Country Resort & Spa. Otto is a native of Wharton, Texas who now lives in Wimberly. His work has been exhibited extensively in gallery and museum exhibitions in Houston, Dallas, and San Antonio, as well as in New York City, Chicago, Denver, New Orleans, and Aspen. He was a 2008 Hunting Art Prize finalist and in 1997 received an Art Grant Award from the Cultural Arts Council of Houston. San Antonio HRC Gala and Silent Auction, Saturday, November 21, 2015 at the JW Marriott San Antonio Hill Country Resort & Spa, 23808 Resort Parkway. General admission tickets are $195. Student and military discounts available. Tickets are available at this link. 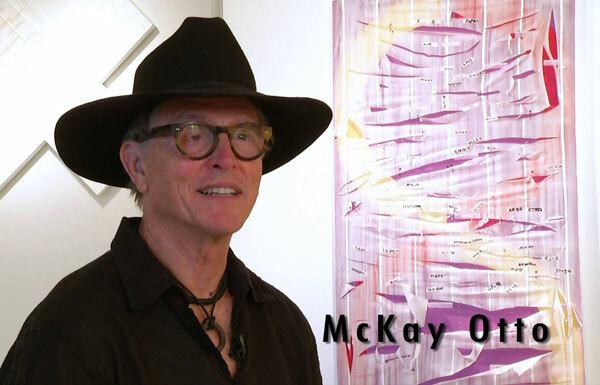 A promotional video for McKay Otto’s 2013 exhibition, Ever About Ever, at the Nave Museum in Victoria, Texas.